Home / Blog / Blog Anniversary / Blogging / Boygroup / Celebration / RR / Runner Rocky / Runner Rocky Anniversary / Runner Rocky Blog / RunnerRocky.Com / Team Runner Rocky / Team Runner Rocky Members / Team Runner Rocky Shirt / TRR / Runner Rocky Celebrates 2nd Year Anniversary; Team Runner Rocky Officially Launched! 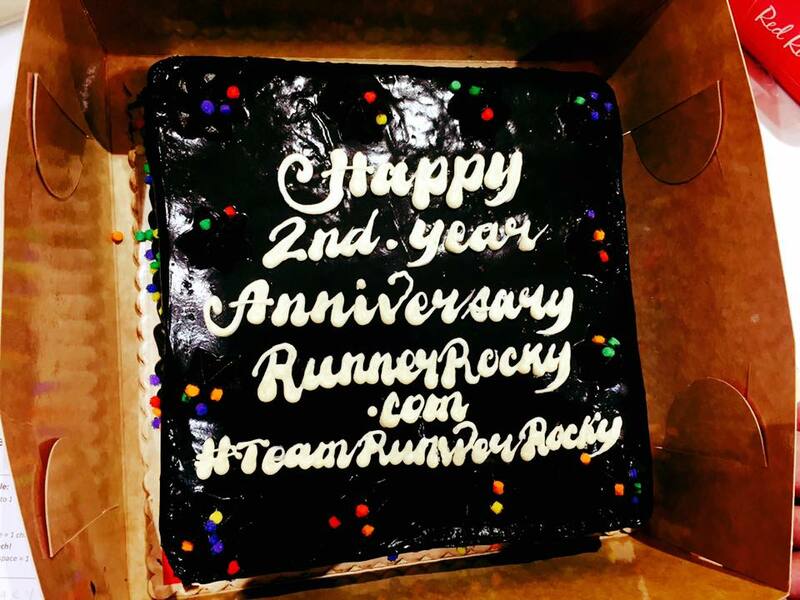 Runner Rocky Celebrates 2nd Year Anniversary; Team Runner Rocky Officially Launched! Established on November 24, 2014, this blog Runner Rocky or RunnerRocky.com now stepped on its 2nd successful year. 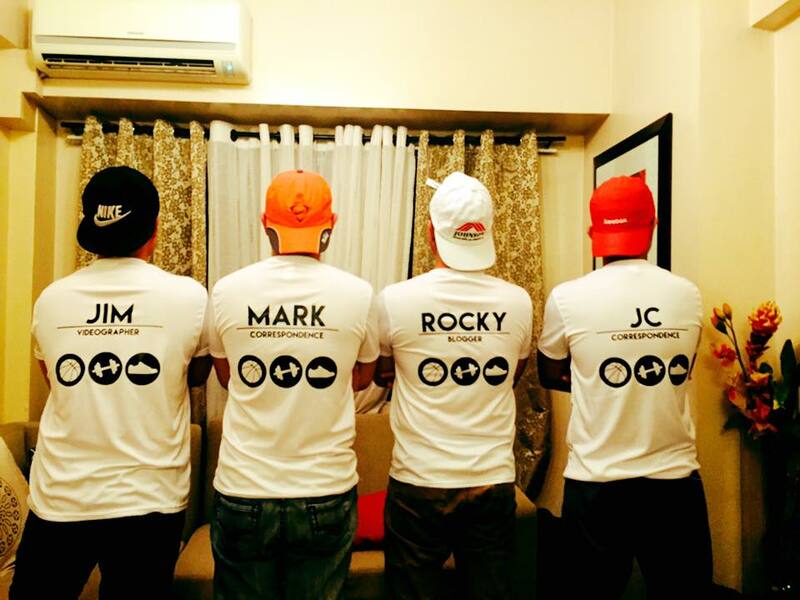 At the same time, my very own sports and social media team, the boygroup Team Runner Rocky was formed! 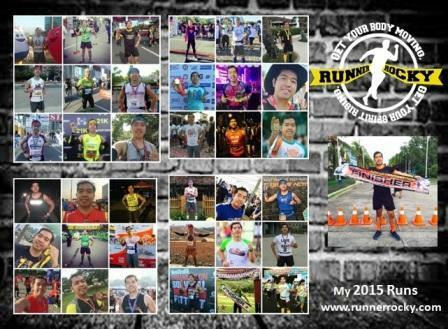 These are two of the milestones of Runner Rocky. 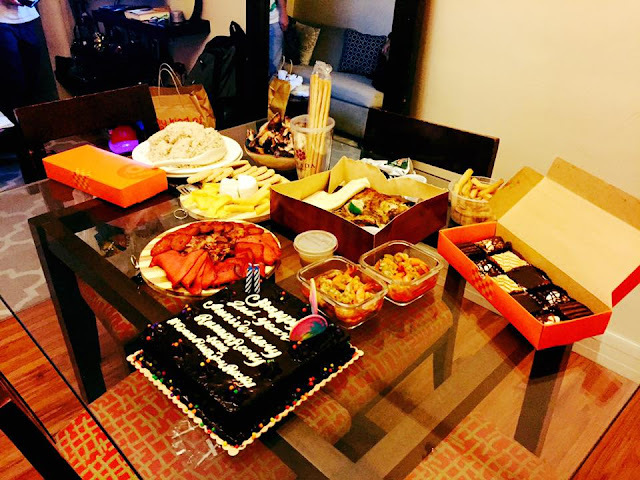 And these definitely calls for a celebration! 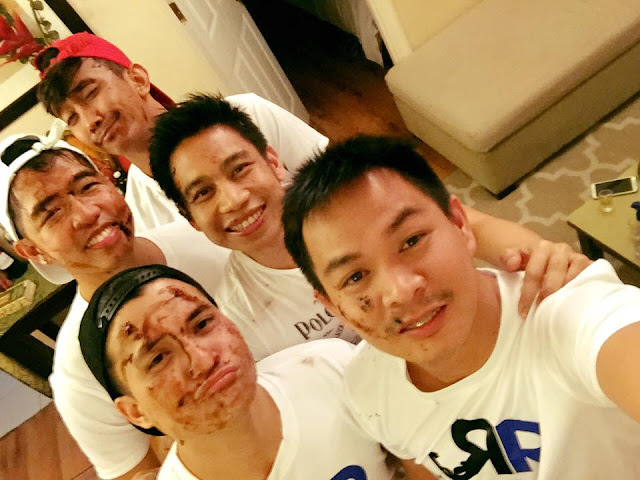 Therefore 12 days before its actually anniversary, November 12, yours truly celebrated my blog's second year blogversary at the same officially launched my very own boygroup! A simple celebration but with great impact, the gang had their overnight party at the Grand Eastwood Palazzo in Quezon City. Five of the members namely Jumar Villanueva, Mark Sarical, Julius Ceasar Aquebay, Owel Rowel, and yours truly Rocky Chua graced the event. 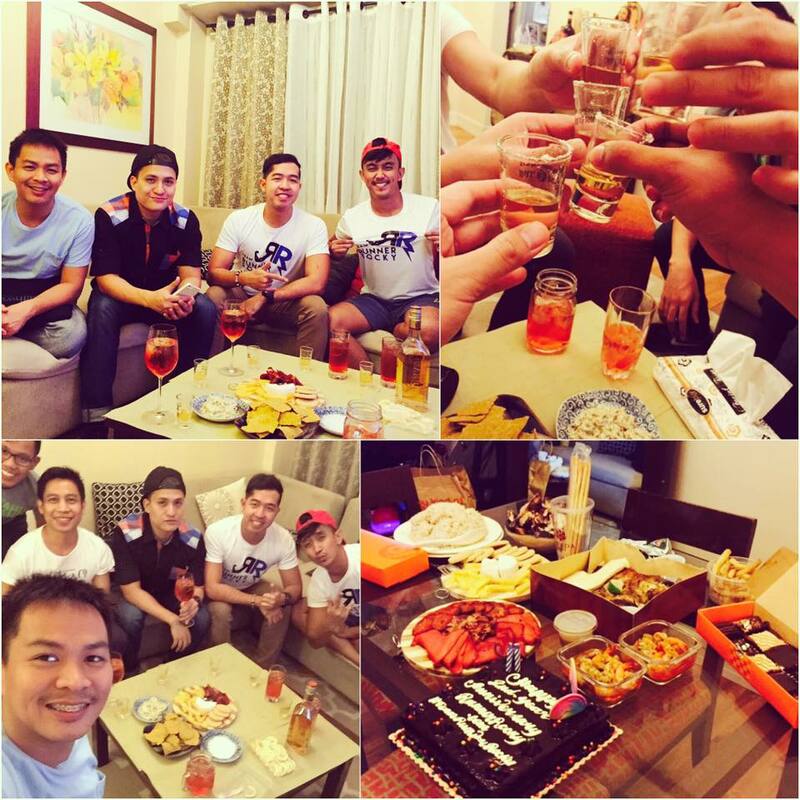 Though the other members wasn't able to attend, we still managed to celebrate with some activities that made the night livelyand surprising. 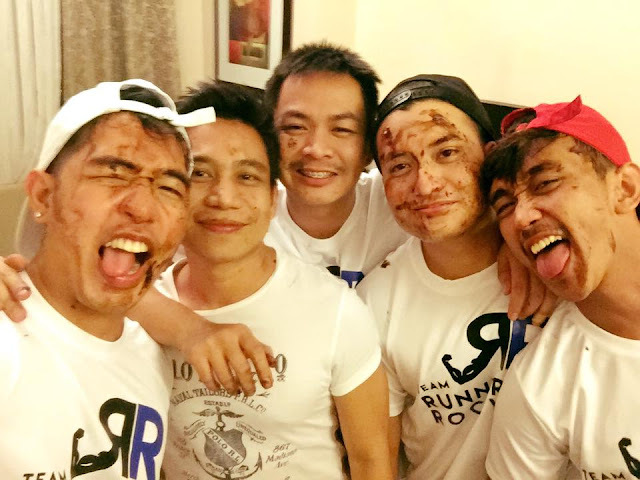 Four of the Members of Team Runner Rocky Enjoyed the Party! 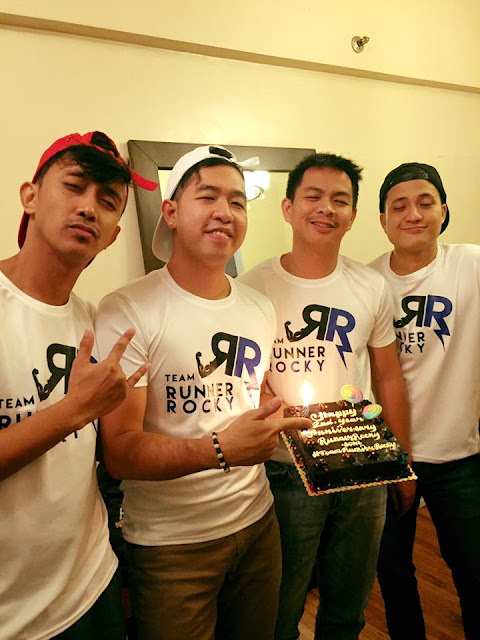 The official launch of Team Runner Rocky also revealed the team's shirt. And we wore it for the very first time in the night's party. Team Runner Rocky Went Wacky! 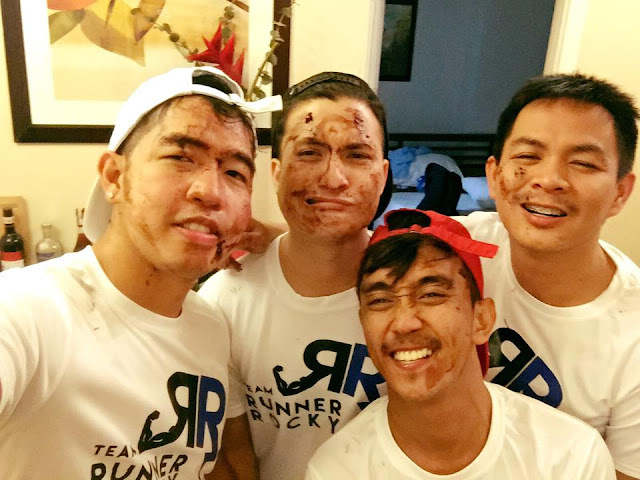 The 5 Members of Team Runner Rocky Enjoyed the Cake Party! 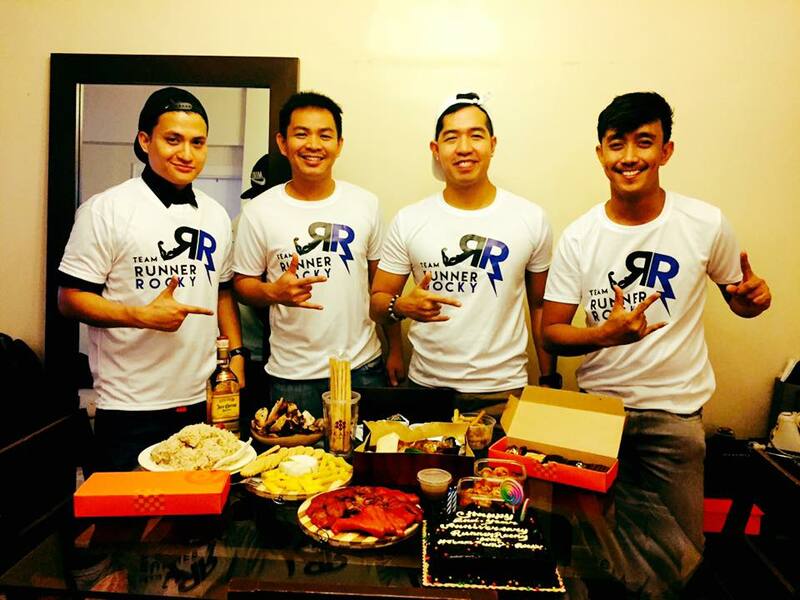 Team Runner Rocky is a boyband inspired sports, events, and social media team. It is composed of 10 members All Boys. Hence a boygroup! 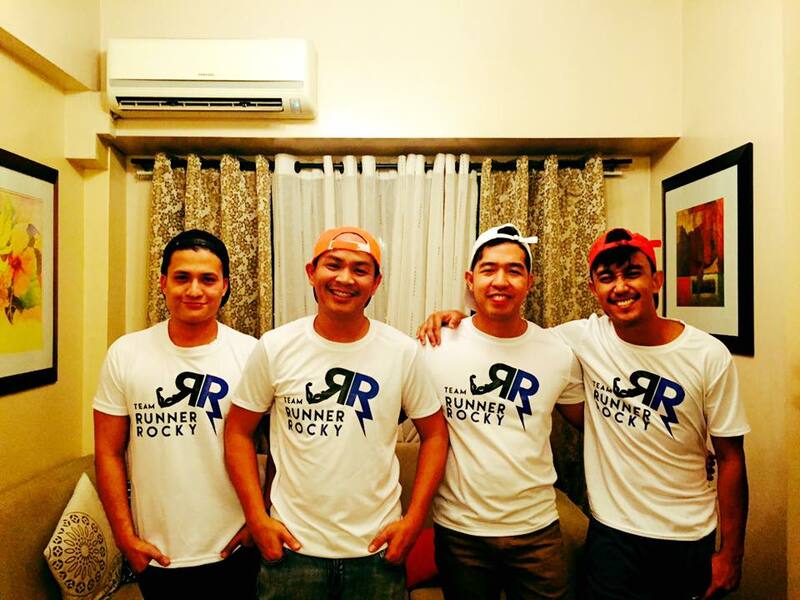 Our official tagline: "The Boygroup of Sports and Online Community!" 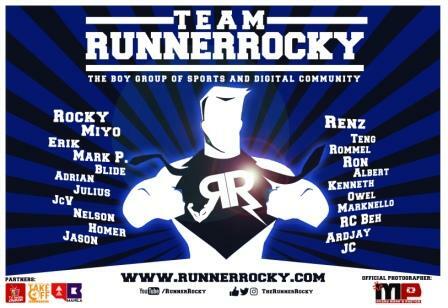 The 10 Members of Team Runner Rocky are the following: Rocky Chua Batara, Romeo Briones Jr., Nelson Cuevas, Mark Sarical, Mark Pizarra, Teng Lequin, Jumar Villanueva, Julius Ceasar Aquebay, Owel Rowel, and Kenmark Ladrillono. 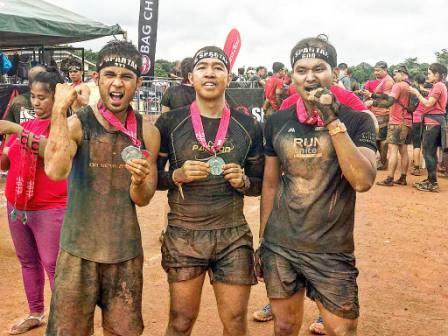 And they have their own designation and function in the team which I have already shared with you on my previous blog post. 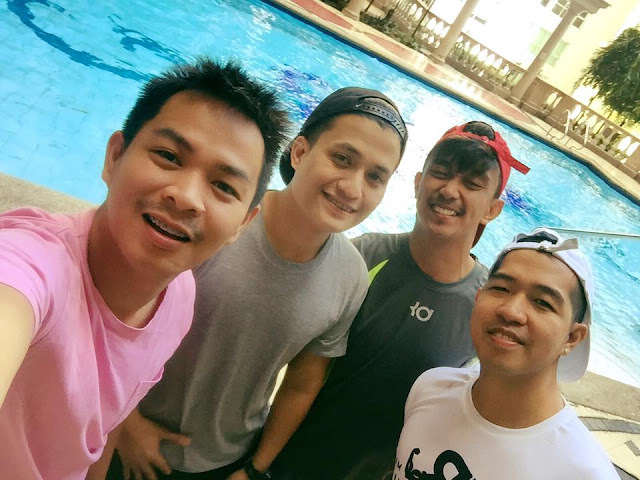 The team is now popular because of our very own video spiels in a TVC (TV Commercial) format we have created to promote an event or to share information to the viewers and netizens. We're Ready for a Morning Swim After the Night's Party! 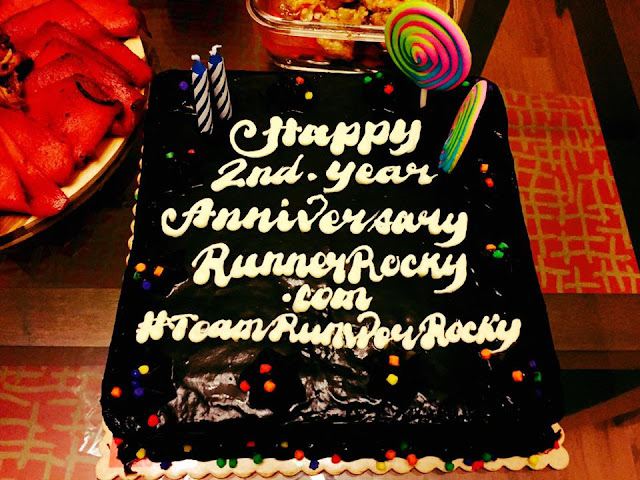 RunnerRocky.com's 2nd Year Anniversary was Also Team Runner Rocky's Official Launch! 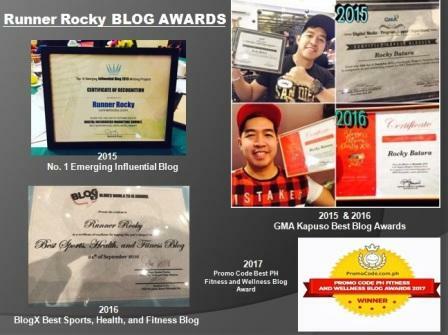 Now on my 8TH year of blogging, RunnerRocky.com and Team Runner Rocky are only two of my achievements in my blogging and running hobbies which will definitely serve as inspiration, motivation, and fitspiration to all of you! We're very much willing to serve as your role models.